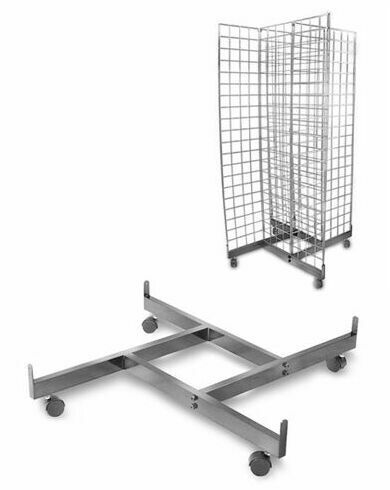 Holds four 2' wide gridwall or slatgrid panels in any height. Hardware to connect grid panels to the base included. Need to buy gridwall connectors to connect gridwall panels together. Black hooded casters included. Colors: black, white, chrome.